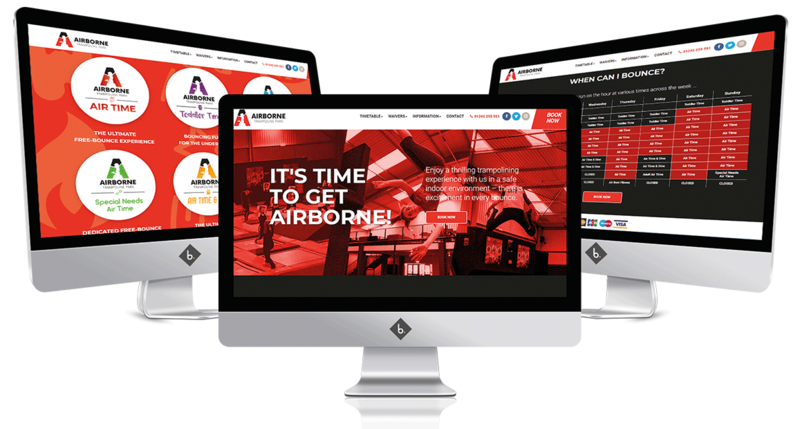 Airborne trampoline park in Cheltenham provides the ultimate trampoline experience for all the family! Airborne needed to create separate sub-brands under their main brand of ‘Airborne’ to separate the different jumping sessions they offer. 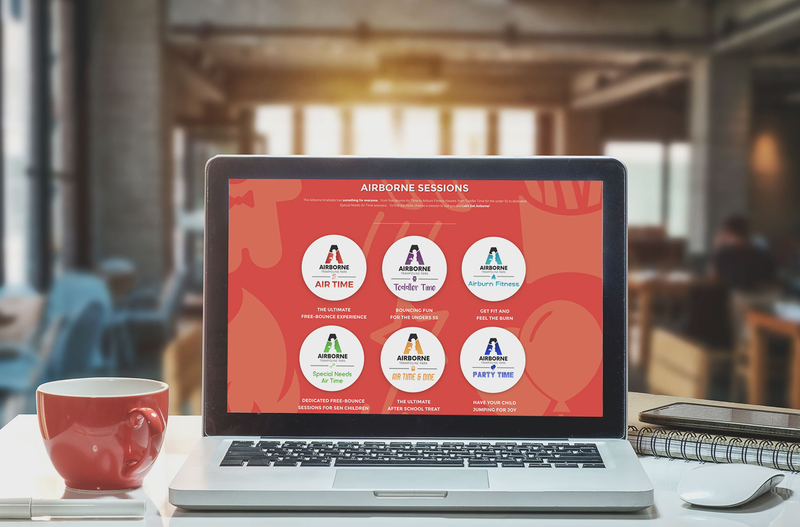 So our creatives were tasked with designing 6 new sub-brands, and designing a wide range of print work to promote this fantastic experience for the whole family! Our creatives designed 6 new identities, which work fanatically separately or as one- under the main brand. Clear separation between the different jumping sessions, made it clear to customers when is the best time to go for their family, providing a fun experience for everyone. 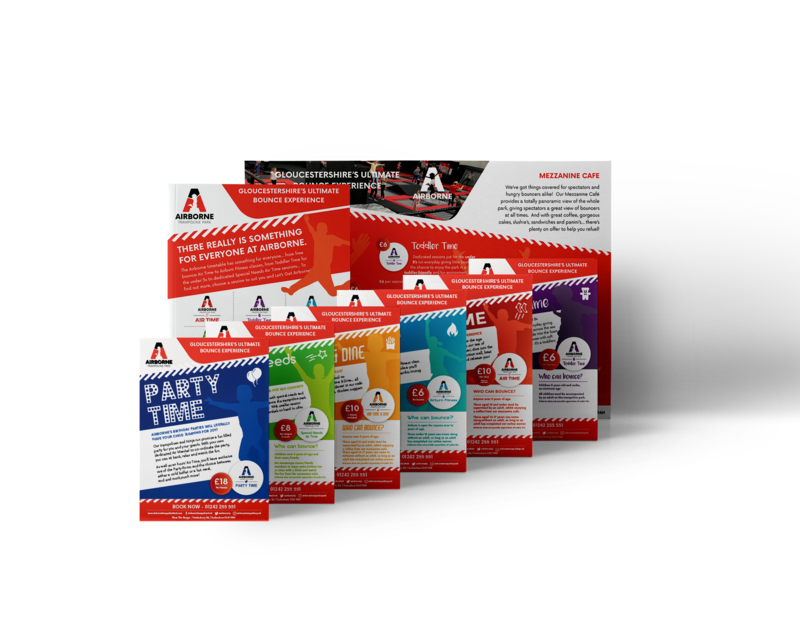 We created a wide range of print work including flyers, posters and digital displays, as well as designing several landing pages for their website.